Just the one runner tonight at Cranbourne where Bugle Call jumps from barrier 12 in the Sky Heights Stayers Series Heat 1 with stable rider Patrick Moloney aboard. This son of Tavistock looked pretty handy in restricted class in New Zealand and has continued to show promise in his previous two Australian starts. He will appreciate the step up in distance tonight and the soft conditions. 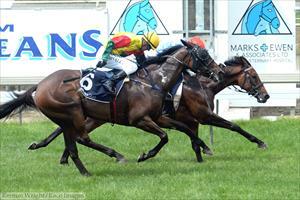 Be no surprise to see this improving stayer finish strongly and be up in the mix.